N Acetylcysteine is a powerful antioxidant that is popular for its ability to rapidly promote Glutathione synthesis within the body as well as treat acute acetaminophen poisoning. N Acetylcysteine or NAC is also very beneficial to our overall health and immune function, in one study it proves to reduce the lifespan of the influenza virus as well as dramatically reduce the severity of the symptoms. NAC was studied for its ability to inhibit replication of the seasonal human Influenza A viruses. By studying the effects on virus replication and virus induced pro-inflammatory responses, researchers got a clearer sense of just how effective NAC can be for the treatment of the H5N1 influenza virus. Not only shortening the lifespan of the virus, but also minimizing the symptoms associated with the flu. The antiviral and anti-inflammatory mechanisms of NAC included the inhibition of the activation of oxidant sensitive pathways, including factor NF-kappaB and mitogen activated protein kinase P38. The study found that N Acetylcysteine is an antioxidant that has potential to be a viable treatment option in the case of an influenza A virus pandemic. Mentioned above, N Acetylcysteine benefits your health through inhibiting the replication of viruses and pro-inflammatory responses. 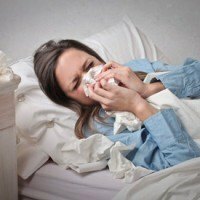 Many of the symptoms associated with the flu are brought on by inflammation. By preventing excess inflammation you can help relieve the symptoms brought on by the flu virus. NAC is also a powerful mucolytic agent, meaning it helps break down mucus. Used as a cough medicine because it can break down the disulfide bonds in mucus, essentially liquefying it and making it easier to expel from the body. Reducing inflammation, breaking down mucus build up and inhibiting the replication of virus cells make N Acetylcysteine a powerhouse antioxidant when it comes to fighting the influenza virus. A godsend for those of us who are hit hard by the flu every year or every season. It is quite clear how powerful and beneficial N Acetylcysteine is, but it goes much further by promoting Glutathione synthesis in the body. Glutathione is our body’s master antioxidant, present in every cell in the body, it is the best indicator of a persons overall health and well-being. When levels of this antioxidant are high, we are healthy and cells are functioning properly. When levels of Glutathione are low, we are often ill, fighting infection or disease or our immune system is severely compromised. 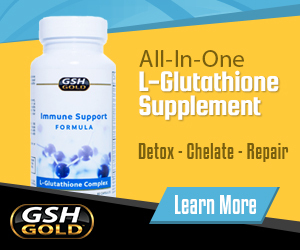 Supplementing with an effective Glutathione precursor like NAC is a great way to promote GSH levels in the body. Fortifying the immune system and promoting cellular health and function. To achieve optimal Glutathione levels you can also supplement it directly with a high quality Acetyl Glutathione supplement. Supplementing GSH levels directly with Acetyl Glutathione as well as promoting endogenous synthesis through N Acetylcysteine is a sure fire way to maximize your health and well-being and fortify your body against infection and disease.